This is the item our daughter is asking Santa for. There’s a less expensive ice castle out there, but this one combines both Anna & Elsa’s castle home AND the ice palace that Elsa builds with her magic. The bicycle is a classic Christmas gift, and there’s a number of Frozen bikes to be found, including big wheels, scooters, and powerwheels as well. Move over Snoopy, the Olaf Snow Cone Maker might very well become the classic toy of this generation. Prince Hans fans can rejoice that the side-burned villain is included in this fairly complete playset. But where’s Marshmallow? If you have Disney Infinity for your video game system, then you need to get the Frozen figures to go with it. How can you not? There is no shortage of Frozen dolls, but this one stands out. The younger Elsa look is adorable, and if that wasn’t enough, the doll talks, sings, and lights up! It even comes with a little Olaf. It’s everything you could want in an Elsa doll… if you can find it. We have a number of friends from Build-A-Bear workshop and were thrilled when we found out they added some of our favorite characters from Frozen. Buy online or make one in a workshop. You can even add songs from the movie too! The hottest Halloween costumes of the year are still a big Christmas item. Even if you snagged one last Christmas, it may be that you need a larger size now. Pandora recently partnered with Disney to make an official Disney line of charms for Pandora bracelets. These have been very popular. Our daughter keeps seeing the Kay Jewelers commercial for this Pandora-style bracelet on tv. It’s high on her wish list, but to be honest I got sticker shock when I went to their site to price it out, as you have to build it by adding beads and charms. An alternative could be this sterling silver bracelet offered at Kohl’s. It comes with a couple of beads already, and both the bracelet and charms are currently on sale, making it a more affordable option. Currently sold out online at the Disney Store, these popular Alex and Ani bracelets probably top the list of many. Personal Shopping sites that pick up items direct from Disney Parks have waiting lists for this item. If you really want one in time for the holiday, the best option may be Ebay. Disney offers a variety of customizable styles, and many of those offer Anna, Elsa, or both of the sisters as options for the face of the watch. Olaf is also available on select styles. 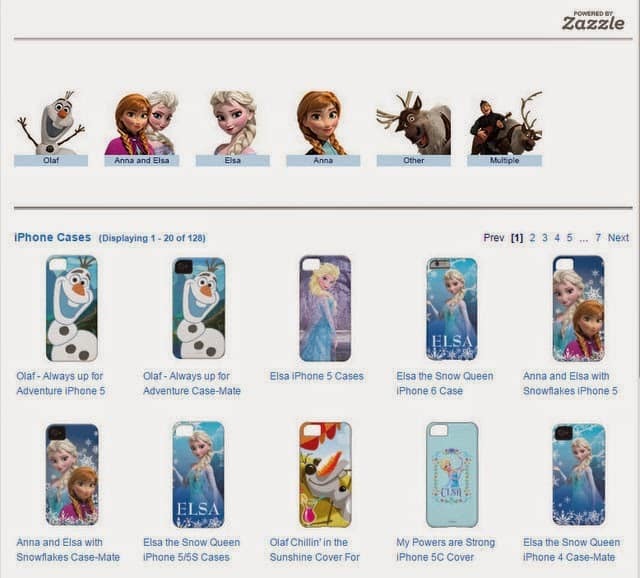 Disney offers customizable cases for Apple Products through Zazzle. You can also check around online, especially if you’ve got a different brand of phone. Not just phones, but also laptops, tablets, and other gear. Earlier this year, we reviewed a few of the skins from DecalGirl for some devices we have. They have a nice line of Disney skins, including several from Frozen. Definitely worth checking out! What Frozen holiday gifts top your wish lists this year? Got an item to add to our list? Want to tell us and other readers where you found a hard-to-get Frozen item? Use the comment form below!! My 7 year old wants the Frozen Karaoke for Christmas! She loves ALL things Frozen! 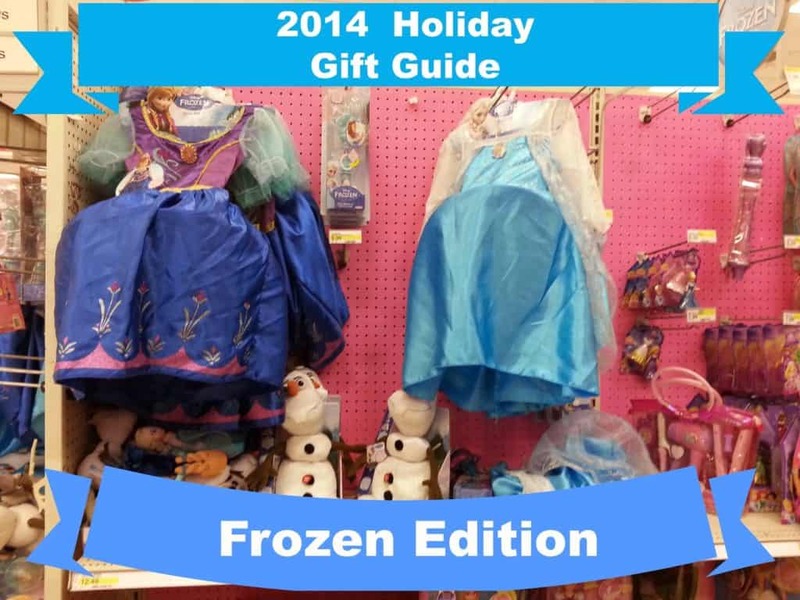 So many fun Frozen gifts! That Pandora bracelet is gorgeous. What a great list for Frozen fans! I love the Pandora bracelet!